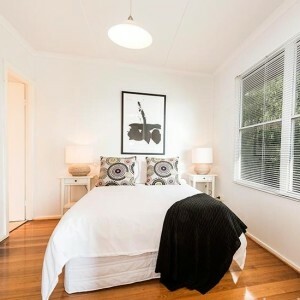 Here are my 5 tips when it comes to staging your bedroom for sale. DE-CLUTTER AND CLEAN Before you can start the fun stuff you really need to clean your bedroom from top to bottom. Start by dusting all your skirting boards, clean your walls, windows and window furnishings. All floor coverings should be spotless and any carpet stains removed. Your wardrobe will need a thorough going over too so don’t forget to clean everything out and bag old clothing you don’t use anymore and donate it to charity. I also suggest you remove all personal items such as photographs and trinkets or personal decor items. 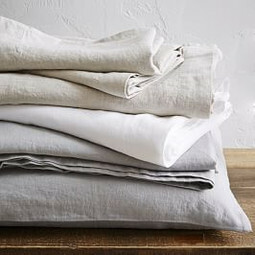 BED LINEN Use good quality bed linen either in white or a neutral colour. When I stage all my bedrooms I tend to use white waffle weave. If your bed allows always place a valance on the bottom of your bed. The white linen works as your base and then you can start layering with cushions and throws or bed runners. LIGHTING In my opinion accent lighting is an essential element when staging your home for sale. Whether you use lamps or pendants, by adding another layer of lighting to your bedroom you will instantly create a harmonious feel to the space. When staging to sell always remember to use high wattage globes to ensure photography stands out and the room is well lit at open for inspections. FURNITURE Creating a perfect bedroom is all about balance. 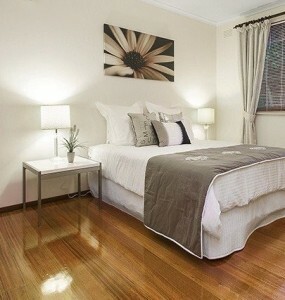 Your bed should be the focal point of the room however without any side tables it can look unbalanced and not finished. When selecting bedside tables ensure that they tie in with the style of your room. 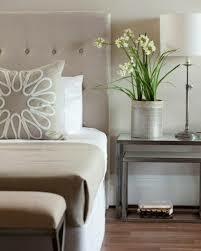 If you have a luxurious hotel style bedroom then choose bedside tables that will complement this scheme. 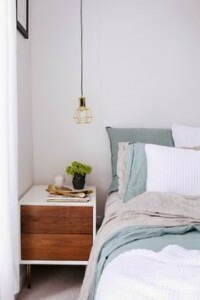 If you have a scandi style bedroom then opt for a more nordic look bedside. Another item of furniture that can really dress up a plain bed is a padded bedhead. 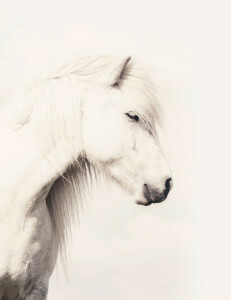 A beautiful bedhead will add a luxurious feel to the room instantly. 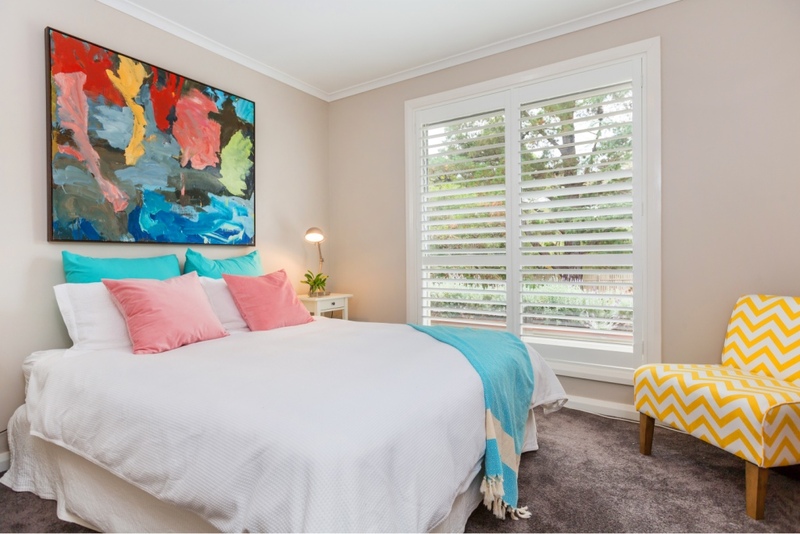 ARTWORK Choosing artwork can be such a subjective thing but when it comes to staging your bedroom for sale think what would appeal to as many buyers as possible. Artwork that is on trend will work in a contemporary space whilst more traditional framed pieces above a bed works best in a more formal setting. Whatever artwork you choose make sure it is fresh, clean and hangs in proportion to the bed below.